Happy October, everyone! After such a hot summer, I for one, am grateful for the cooler days of Autumn here in Portland and the busy fall season ahead. September also kicked off our third Grand Rounds series with Dr. Sabrina Matoff-Stepp and Christina Lachance presentation “HRSA’s Strategy to Address Intimate Partner Violence: Integration and Innovation in Practice”. If you were not able to attend the event, please email William Pinnock at pinnockw@ochin.org to receive a recording of the presentation. This month, we are excited to host Drs. Julia Marcus and Douglas Krakower from Harvard Medical School and Harvard Pilgrim Health & The Fenway Institute as they present on improving PrEP prescribing in community health centers. The event will take place online on Friday, October 19th from 12-1 PM PST and registration for the event can be completed here. Our team is also hard at work preparing for our tri-annual Patient Engagement Panel (PEP) meeting scheduled for Wednesday, October 17th. The PEP is open to all patients who are willing to discuss their experiences, perspectives, and thoughts they relate to health research topics. You do not need to have experience serving as patient advisor or investigator to join the PEP. If you or someone you know is interested in joining the PEP, please email our PEP Coordinator at PEP@ochin.org for more information. Finally, our ADVANCE Collaborative website celebrated its first year on the web this past month! We launched the site on September 30th, 2017 with the goal of sharing the important work everyone on the team is doing with our partners and the public. 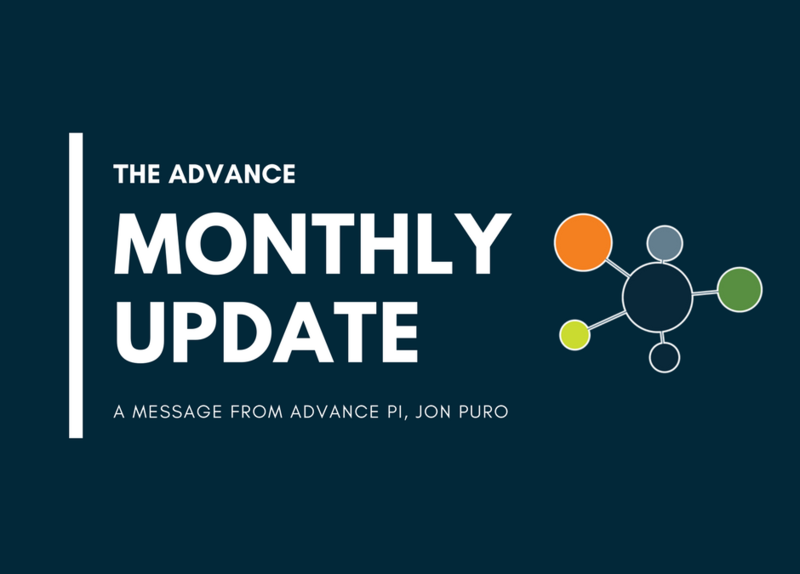 Since then, we have published 51 blog posts including our two regular columns: “The ADVANCE Monthly Update” and the “Community Health Round Up”. The latter is a column which features commentary and compilations of current community health news articles. Our team is incredibly proud of the site and hope that it continues to serve as a resource to all of our ADVANCE stakeholders. We will continue to do our part to keep the site up to date with the most current information and resources for patients, clinicians, partners, other network members, and other researchers. As always, we welcome your feedback. Please email research@ochin.org with any ideas or suggestions. We hope you are enjoying the crisp air and changing leaves as much as we are. We look forward to sharing more as the season progresses.